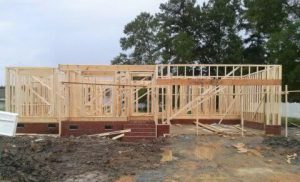 The Johnston County Sheriff’s Office is investigating four break-ins in a 24 hour period at new homes under construction. The thefts were discovered Monday and Tuesday near McGee’s Crossroads, Cleveland, and Selma. Among the items taken from the four locations were windows, vinyl siding, lights, appliances, and four pallets of shingles. The total value of the stolen items was $11,905. Detectives do not have any evidence linking the thefts. Anyone who has any information about the thefts is asked to contact sheriff’s investigators at 919-989-5000. Callers can remain anonymous.